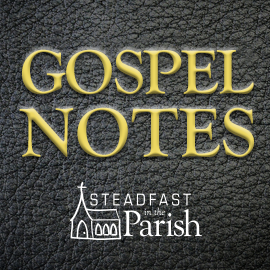 Click here to listen to audio of this sermon. Blessed Lord, who hast caused all Holy Scriptures to be written for our learning, grant that we may in such wise hear them, read, mark, learn, and inwardly digest them, that by patience and comfort of thy holy Word we may embrace, and ever hold fast, the blessed hope of everlasting life, which thou hast given us in our Savior Jesus Christ, who liveth and reigneth with thee and the Holy Ghost, ever one God, world without end. Amen. If you can read, you should read the Bible. The devil doesn’t want you to read the Bible. He hates the Bible. The world doesn’t want you to read the Bible. It mocks the Bible. Your flesh doesn’t want you to read the Bible. It despises the Bible. God wants you to read the Bible. He wants you to read the Bible because he wants to teach you what you need to know. He wants you to read the Bible because in the Bible he gives you patience, comfort, and hope. He wants you to read the Bible because the Bible shows Christ to you and joins you together as one with your brothers and sisters in Christ. Angels are messengers from God. The angel told the shepherds to look for Jesus wrapped in swaddling cloths and lying in a manger. So, that’s what they did. They found Jesus by looking where God told them to look. Tell me: would they have found Jesus if they had looked inside the inn or in one of the houses of the more prominent members of the community? No. If they had not looked for Jesus lying in a manger, they wouldn’t have found him. Jesus is not in a manger today. Today we find Jesus in the Bible. We find Jesus in the gospel that is preached to us when it is the gospel taught in the Bible. We find Jesus in his sacraments when they are the sacraments he instituted as recorded in the Bible. The extra-biblical Jesus is not the real Jesus. The wisdom of the greatest philosophers is blind when it comes to genuine spiritual truth. Only Jesus can provide it. He, who is at the Father’s side, and he alone, can reveal the truth to you. This brings us to the Bible. Our text tells us that the Bible was written for our learning. It was written to teach us. To know Jesus is to be taught. The word disciple means one who is taught. To know Jesus is to be taught the truth about Jesus. Perhaps you’ve heard the claim that the Christian religion is a relationship and not a doctrine. A relationship sounds warmer and more inviting than a doctrine. The word doctrine or teaching sounds rather cold and officious. It may even sound threatening, as if we’re going to be tested on what we know, and maybe we’ll fail the test. A relationship sounds friendlier. But consider the facts of life. Life puts us to the test. We are careful and responsible and make good plans for the future that are ruined because of unforeseen events that overwhelm us. We get sick. We lose our job. We suffer the loss of someone we love. Bad things happen. When bad things happen, you need solid comfort, not just soothing sentiments. You need to know, not just to feel. Sentiments and feelings are as fickle as the weather. They are going to change. But God’s truth doesn’t change. The Bible was written for our learning. When you are taught the heavenly teaching that is centered in the person and work of the heavenly teacher, Jesus, you learn patience instead of bitterness. The teaching about Jesus is permanent. God doesn’t let anyone take it away from you. When you lose other things in life – things you loved and treasured – you haven’t lost what’s most precious. If you lose your faith, you’re lost. The teaching of the Bible sustains us in the faith. This is what makes the Bible precious. It is as precious as your faith. As you may know, God blessed my wife and me with many children. I used to joke about how God gives us children so that they can wreck things that we, in our sinful idolatry, might be inclined to worship. They are idol smashers. All of the stuff that insinuates itself into our affections can be lost. In fact it will be lost. By losing the things on which we placed our affections, we can become embittered or we can learn patience. The patience of the Scriptures is the patience the Scriptures teach us when we lose things we tried so hard to hold onto. We learn priorities. God wants us to do without. He wants us to do without whatever it is that will draw our affection away from him. When we lose what we love and yet have the teaching of the Holy Scriptures, we don’t lose at all. We gain patience. From patience comes comfort and from comfort comes hope. Comfort can be temporary or it can be permanent. You can find temporary comfort in alcohol or drugs. It is the comfort of escaping the truth. But you don’t. It’s an illusion. In other words, it’s a lie. A man gets drunk on a Saturday night and is too hung over to get up and go to church on Sunday morning. What comfort does he gain from the bottle? It is a hopeless comfort because it provides no hope. It’s a stopgap that doesn’t address his real needs. Our greatest need in life is to be set at peace with our Creator. The only way to find that peace with God is through God’s Son who became flesh. And the book that teaches us about him who is our Peace is the Bible. The comfort of the Bible gives you hope. Several years ago, I was visiting a parishioner in the nursing home in Mayville, North Dakota. She was a pious Christian lady who attended church every Sunday until she moved into the home and was unable to attend. So I visited her and read to her from the Bible and gave her the Lord’s Supper. She was in her mid- eighties. A friend of hers, about her age, came in just when we were finishing. I mentioned the Bible that I had just read from and she raised her hands up in front of her and began to say in a half joking but semi-serious manner that she hadn’t obeyed the Bible as she should. The Bible teaches us the law that God command us to obey. But for her, that’s all the Bible was. It was a book of judgment against her. She did not look at the Bible as the source of comfort. She wasn’t taught that the Bible was the manger that held Christ. She was taught that the Bible was a rule book and she had disobeyed the Bible’s rules. That was a sad sight: a Christian who was afraid of the Bible. The comfort of the Comforter is the comfort that Jesus brings. Take Jesus out of the Bible, you take out its purpose. Jesus comforts us by bearing our sins in his body and washing them away by his blood. Take Jesus out of the Bible and you take out comfort. By taking out comfort, you take out hope. For the only hope anyone has of enjoying peace with God and eternal life is the hope that God gives us in Christ. This is the hope that the Bible gives us. Let me tell you why you should go to church faithfully, attend Bible class, and read your Bible at home. When God’s people immerse themselves in his written word and find their hope in the promises that are written down they are bound together by the same hope. Hope is faith directed to the future. We don’t hope for what we see. We hope for what God promises. When we are focused on the one hope that we share, we are not focused on who is better than who: smarter, richer, more dedicated, more pious, or whatever other things we appeal to to makes ourselves look better than our brothers and sisters. Carnal competition, cliques, in-crowds and out-crowds, and all such things develop when the hearts of God’s people are turned away from being taught by God. The divine teaching unites. It makes us like-minded, where nobody is better than anybody. That doesn’t mean that everyone is the same. We all have our various talents and gifts, but we are joined together as one. We glorify the God and Father of our Lord Jesus Christ with one mind and one mouth. We are joined together in a common confession of the same divine truth. When God teaches us he unites us. It’s not like signing a pledge to a lodge or a fraternity. Human organizations make their own rules and the rules unite them. We are Christians! We aren’t united by common adherence to the same rules. We are united by sharing the same Christ, the same gospel teaching, the same forgiveness of sins, the same comfort. We are joined together by the same hope. God’s word provides it. Heaven and earth will pass away, but God’s word is eternal. Holding onto it we hold onto him who is the life and we live forever. Pastor Rolf David Preus grew up on the campus of Concordia Seminary, St. Louis, the fourth of ten children, where his father, Dr. Robert David Preus, taught for many years. Pastor Preus graduated from high school in 1971, from Concordia College, St. Paul, Minnesota in 1975 and from Concordia Theological Seminary in Ft. Wayne, Indiana in 1979. He was ordained on July 1, 1979, at Trinity Lutheran Church, in Clear Lake, Minnesota. He served Trinity Lutheran Church in Clear Lake (1979-1982), First Lutheran Church in East Grand Forks, Minnesota (1982-1989), St. John's Lutheran Church in Racine, Wisconsin (1989-1997), River Heights Lutheran Church in East Grand Forks, Minnesota (1997-2006), and First American Lutheran Church in Mayville, North Dakota and Grace Lutheran Church in Crookston, Minnesota from (2006-2015). On February 15, 2015 he was installed as Pastor of Trinity Lutheran Church, Sidney, Montana and St. John Lutheran Church, Fairview, Montana. Pastor Preus received his Master of Sacred Theology degree from Concordia Theological Seminary in 1987. His thesis topic was, “An Evaluation of Lutheran/Roman Catholic Conversations on Justiﬁcation." Pastor Preus has taught courses in theology for Concordia Theological Seminary in Ft. Wayne, Concordia University Wisconsin, and St. Sophia Lutheran Theological Seminary in Ternopil, Ukraine. Pastor Preus married Dorothy Jean Felts on May 27, 1975, in Coldwater, Michigan. God has blessed Pastor and Dort with twelve children: Daniel, David, Paul, John, Mark, Stephen, Christian, Andrew, James, Mary, Samuel, and Peter. 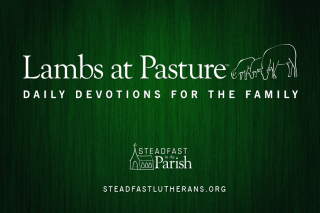 David, Paul, John, Mark, Stephen, Christian, Andrew, and James are pastors in the LCMS. God has blessed Pastor and Mrs. Preus with forty-three grandchildren so far. Pastor Preus' mother is living in Minneapolis. Three of his brothers and two of his brothers-in-law have served as pastors in the LCMS. Joyfully expand spiritually healthy possibilities.